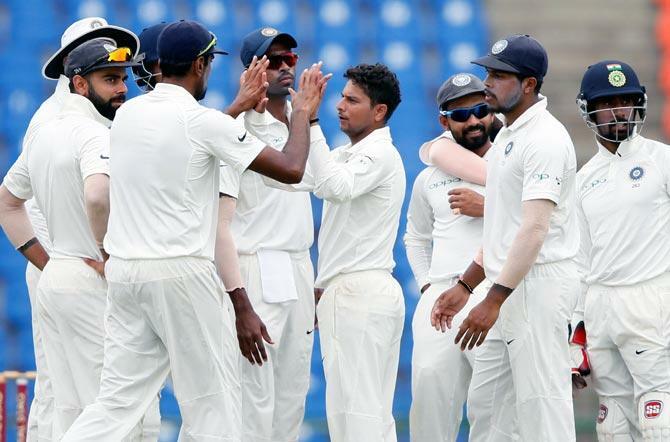 India defeated Sri Lanka by an innings and 171 runs inside three days in the third and final Test to complete a 3-0 whitewash on Monday. The hosts were all out for 181 in their second innings after made to follow on. Sri Lanka were bundled out for 135 on Sunday after India posted 487 in their first innings. India had won both in Galle and Colombo inside four days. 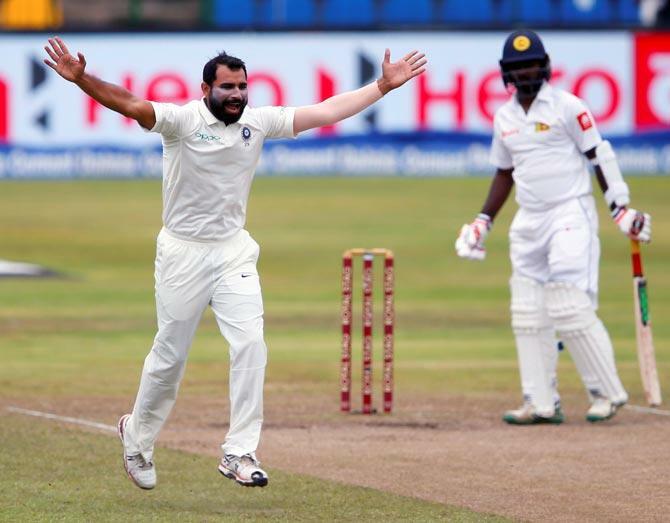 Earlier, paceman Mohammed Shami struck twice early on the third day to leave Sri Lanka reeling. The beleaguered hosts were 82 for four in their second innings at lunch, still trailing by 270 runs after being made to follow on. Sri Lanka captain Dinesh Chandimal was unbeaten on 26 while former skipper Angelo Mathews was 17 not out at the break. 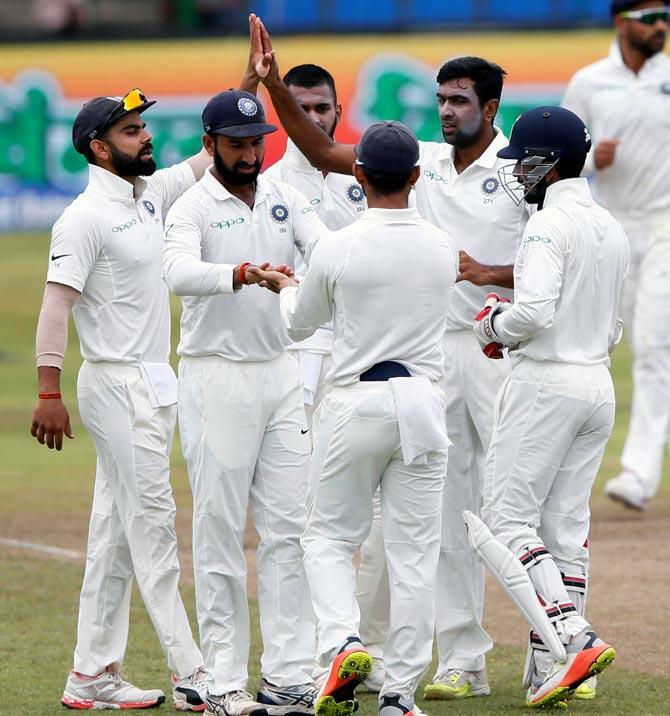 After heavy defeats in Galle and Colombo inside four days, Sri Lanka's hopes of avoiding an innings loss rested on a solid start but Ravichandran Ashwin dampened their hopes when he struck in his first over of the day. The off-spinner sent back opener Dimuth Karunaratne for 16 after Sri Lanka had resumed on 19-1. The left-hander was caught by Ajinkya Rahane at slip after getting a thick edge to a turning delivery. Nightwatchman Malinda Pushpakumara was soon caught behind off Shami and the right-arm paceman also dismissed Kusal Mendis for 12 to reduce the hosts to 39-4. Chandimal and Mathews have added 43 in their unbroken fifth wicket stand and any hopes of a Sri Lankan fightback will rest on the two experienced right-handed batsmen.